Writing a letter, tripping over or simply shouting – injuries have happened to people in sport when they have least expected them. 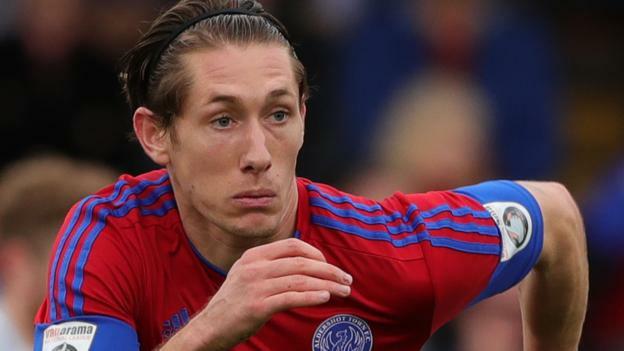 Aldershot’s James Rowe can add himself to the list of players to sustain unusual injuries after accidentally stepping on a glass of squash, which he had dropped on the floor. The result is a foot injury that is likely to keep the midfielder out of action for several months. Asked about the nature of Rowe’s absence, Shots boss Gary Waddock kept things vague. “It was a domestic injury – an unfortunate one. He’ll be out for some time,” he told BBC Surrey. It is reminiscent of an injury to former England goalkeeper Dave Beasant, who once severed a tendon in his foot trying to trap a falling jar of salad cream. National League Aldershot will have to do without Rowe for the visit of Bradford in the FA Cup first round on Saturday.